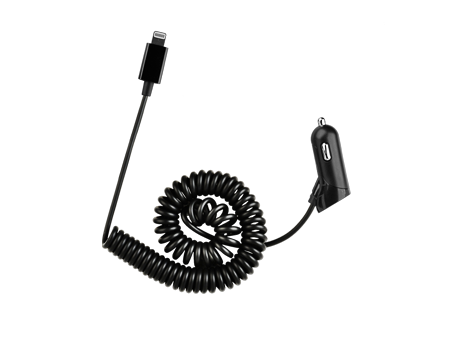 This Car Charger with iPhone/iPad Lightning Connector will keep your Apple device fully powered while you're on the road. Compact 2.1A, 5V iPhone® 5 car charger. Rapidly and conveniently charges your device, allowing you to stay connected while on the road.